"The power to dispel fear, doubt, anger, hatred...well, not anger. Anger will devour my constructs like acid. And with fear, unless you train really hard it goes right through them like they're not there. Hatred, though, I'm good on hatred. At least--has the Puce Lantern Corps been founded yet? No? OK, still good on hatred. But if you're confronted with love, RUN." "The Guardians keep getting transmissions of your political situation and thinking hatred has defaulted to the Orange side of the spectrum because of that...person some of your racists have been voting for. So they're convinced Larfleeze is rigging the whole thing." I can see Larfleeze watching Trump and going "YOURS!! YOURS!! YOURS!!" Okay, I kinda love the (unintentional) sass coming from the ring. And it tries to be reassuring and inspiring to her. Much better all around than her last ring. You have *four* earth Lanterns: All dudes, more or less 'generic' American men, right? All of them pick up their rings and are competent ring slingers inside of an issue, more or less. But the Muslim American is the one who has a fixation on a full face mask and a handgun. 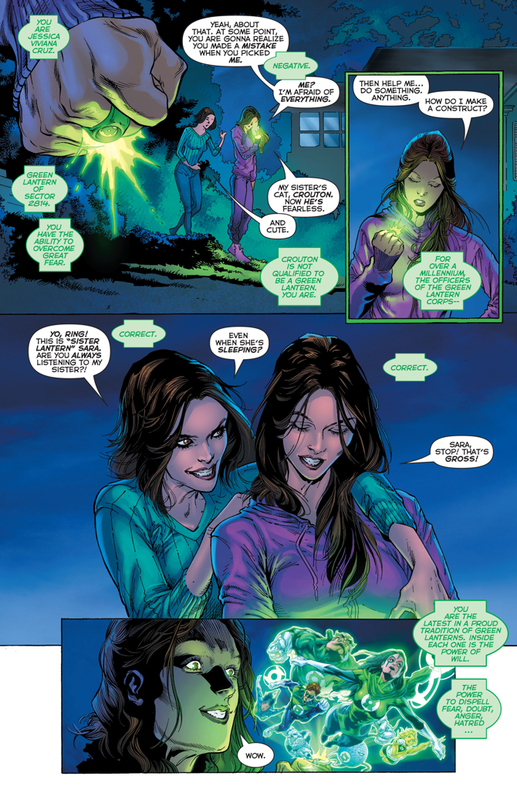 And the female Green Lantern is the one who can't use her willpower well enough to create contructs, multiple issues in. Jess... Yeah, I can sort of understand the concern about the implications there. I admit, I'm not that worried about it, because part of it is that comics will allow more of a learning curve to superpowers than they used to. These days, I think if they gave any rookie a ring, it'd take them a while to figure it out. 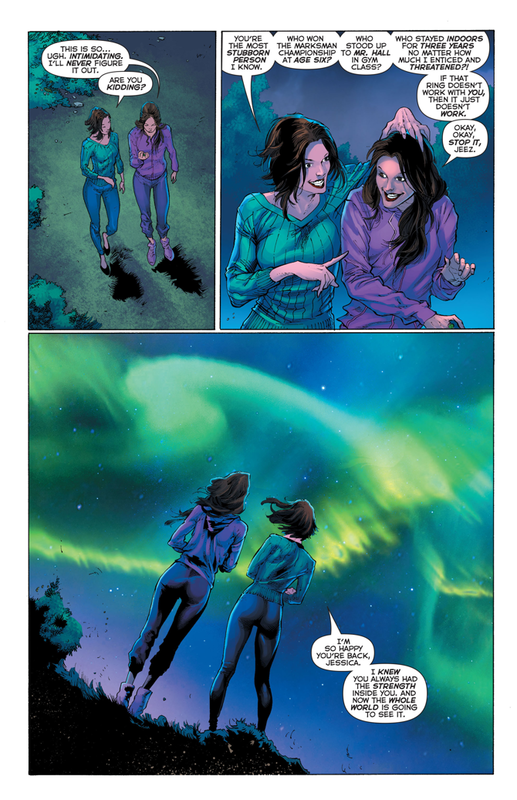 It probably doesn't hurt I think Jess is pretty awesome, and some parts of her 'overcoming great fear' are things I can relate to far more easily than Hal Jordan, Ace Pilot Extraordinaire. while the implications of the mask and gun are... troubling...in the comics, to me at least, it seems logical. He doesn't trust anyone. at all. and why would he. his country arrested him and detained him illegally, now is trying to blackmail him. and the ring has given out on him at times. I actually DO find Jessica more interesting because of her background. She went through a trauma... but has the capability to fight back fear. 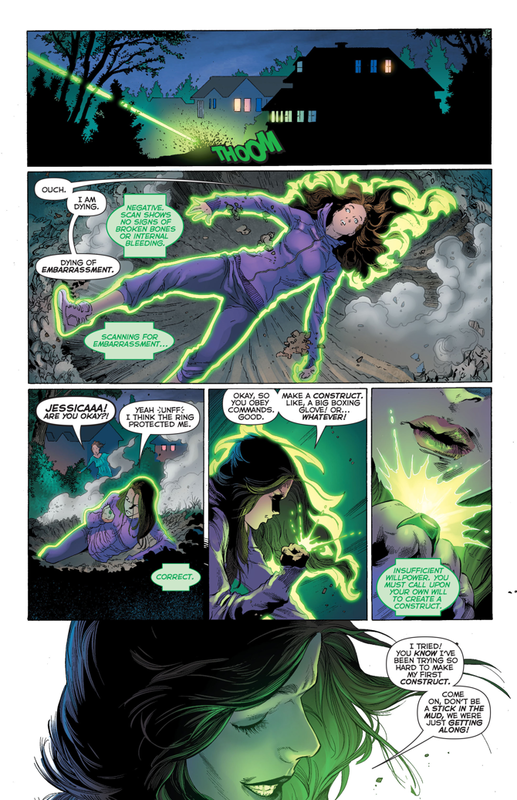 Personally I think she is going to be one of the greatest lanterns. 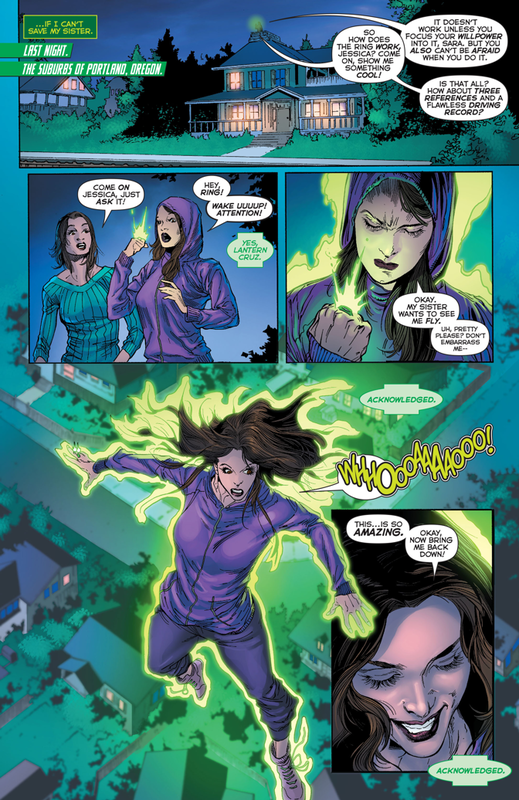 It's not here, but I love how Jess makes her constructs: it's more Wanda-style firebending. 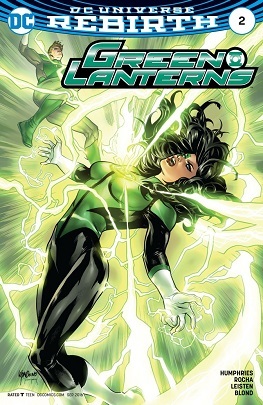 They should work more on that angle to offset the number of Earth Lanterns: she's Lantern #2814.6 as it is. I remember one of the Lanterns mentioning they all have personalized construct building patterns: John's structural, Kyle's creative, etc. As for Simon, it's his characterization that seems a bit OOC - not enough to spite, just to notice. Consider that during Johns' run, he was intended to be this hope/peacebringing Lantern, or something. I think his Trinity War tarot card even labeled him 'The Miracle Worker'. Crouton is TOTALLY qualified to be a Green Lantern. Who else is gonna fight Dex-Starr?